The editor of the BBC Hausa service, Mansur Liman, explains how he broke the story of The historic phone call from Nigeria's President Goodluck Jonathan to admit election defeat - and how it almost didn't happen. I was at the election results centre in the capital, Abuja, and at around 17:00 (16:00GMT) the votes from all but three states had been declared. Muhammadu Buhari, the candidate for the opposition All Progressives Congress (APC), had a big lead over incumbent President Goodluck Jonathan. 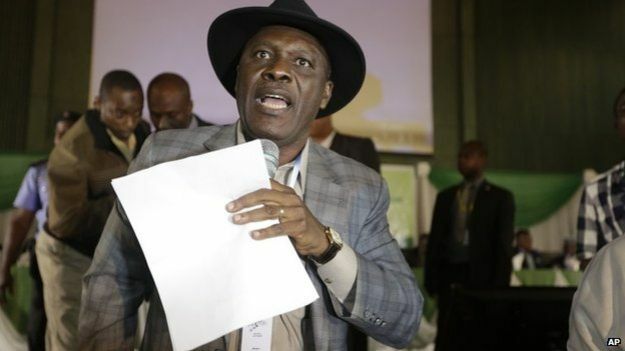 During a break in the results, it became obvious to me that the lead was unassailable and I began wondering about what was going on in the APC camp. Were they celebrating or still anxiously waiting? Going by previous Nigerian elections, when rigging and results fiddling has allegedly taken place, nothing could be taken for granted. 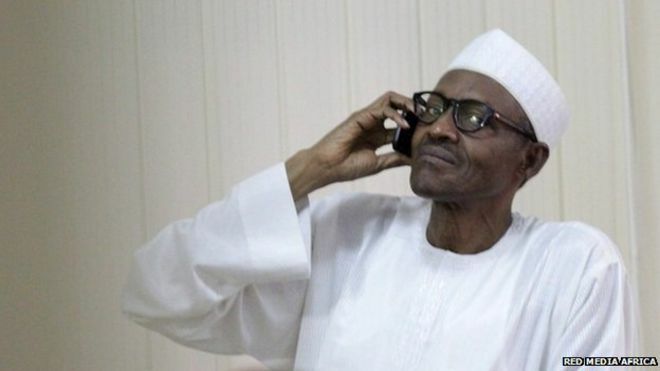 It turns out that so many calls were coming through that there was no time to answer them all - and Gen Buhari did not even know where his phone was. I thought that there would still be some more bumps on the road, given the passion in the campaign and the fact that a governing People's Democratic Party official had already tried to halt the count. I have a lot of contacts within Gen Buhari's circle and I know him personally so I decided to try and call someone who I knew would be with him to find out the mood. After he missed my call, and I missed his response, I eventually got through. I asked him what was going on, given that there was no way President Jonathan could win and I was surprised by the response. He told me that Gen Buhari had just received a phone call from his rival, in which the president conceded and congratulated him. I did not doubt that this was true as I trusted my source, but given what has happened before in Nigeria, this kind of concession was up to that point unimaginable. I was pretty sure that I was the first journalist to get the story so as soon as I got off the phone I alerted the BBC's election desk and tweeted the details. There were, of course, people who were very concerned about what could happen if the result was contested. And I have since discovered that members of the National Peace Committee, which is headed by former President Abdulsalami Abubakar, visited President Jonathan as the results were being announced. I understand they were the ones who persuaded the president to do something to avoid any trouble, and shortly after the visit he made the call. But even making the call was not straight forward. I heard later that the president could not actually get through to Gen Buhari. He rang all the numbers he had for people in his camp, but no-one answered. President Jonathan resorted to sending a messenger round to his rival's house to tell him that the president wanted to speak to him. And that he should pick up the phone the next time he tried to call. By making that call the president saved Nigeria a great deal of pain. If the PDP had insisted that they had won the election, and the APC had said the same, the country would have been in chaos. Lives would have been lost and property would have been destroyed. 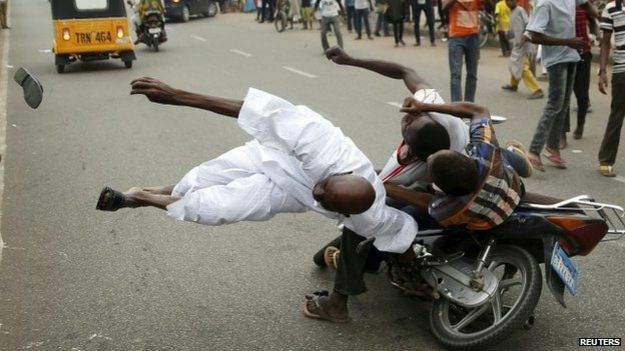 That call showed that in Nigeria, people can put the country first. I have heard from PDP supporters that the president took the decision to make the call without consulting anyone. They told me that if he had talked to some of his advisers, they would have objected.